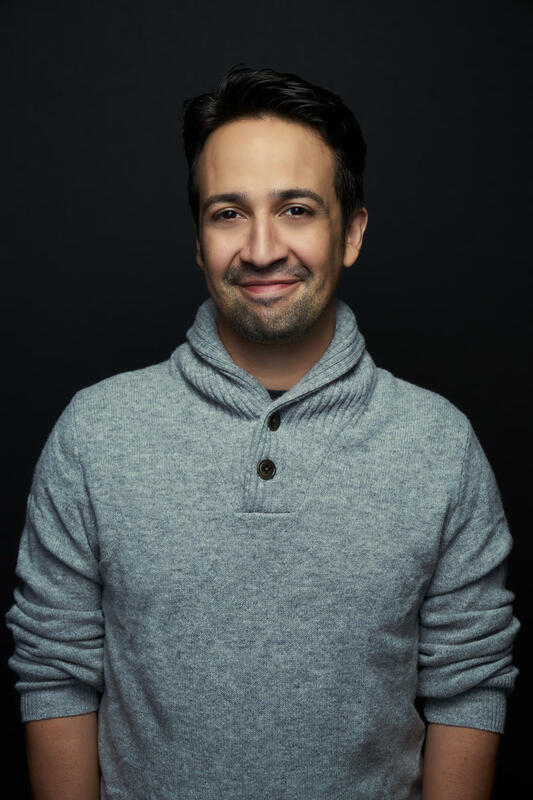 Our guest of honor this week is playwright/actor/rapper extraordinaire Lin-Manuel Miranda. In 2008, his musical “In The Heights” won the Tony for Best Musical. His follow-up “Hamilton” — about our nation’s first treasury secretary — broke box office records and earned him a bunch of Tonys, a Grammy and the Pulitzer Prize for Drama. Recently, it earned the scorn of President Trump. After the cast directly addressed Vice President Pence at the end of a performance he attended — they respectfully asked the Administration to defend civil rights. 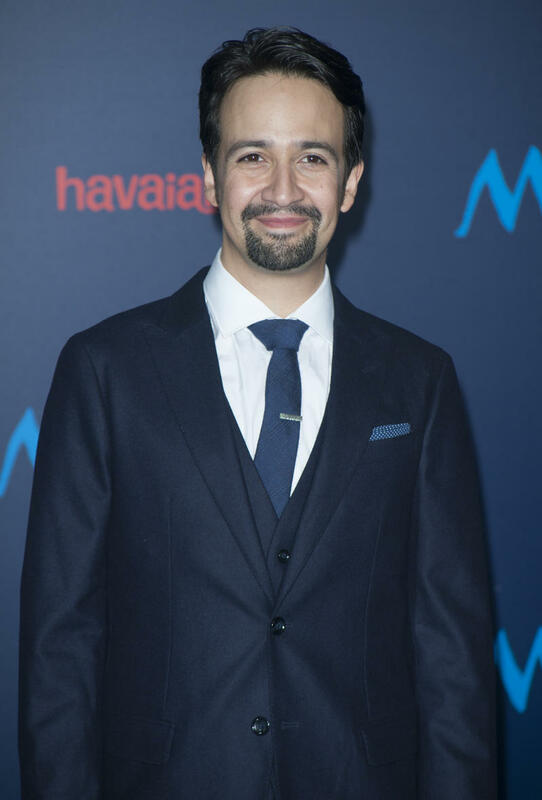 You can hear Lin’s latest work in the Disney animated film “Moana,” about a Polynesian princess who longs to leave her island. Lin co-wrote several songs for it. One of which — “How Far I’ll Go” is up for an Oscar. When they met, Rico noted that tune is in a long tradition of what Disney fanatics call “I Want” songs, in which the hero sings about their deepest wish. Rico Gagliano: The bar for an audience, for those particular songs is so high. MTV actually ranked all the “I Want” songs when “Moana” came out and you ended up, I think a respectable number five or something. Rico Gagliano: A minor hit. Lin-Manuel Miranda: So it was like, “Don’t write ‘Let It Go.’ Don’t write ‘Let It Go. '” That was what I was thinking when I sat down at the piano. Rico Gagliano: But how hard is it not to write- I mean in a sense, all of them have a similar feel. They are these grand statements of belief. So how do you avoid falling into a, “I’m going to just write another ‘Let It Go'”? Lin-Manuel Miranda: The only solution to not thinking about that bar and being in that club is to just double down on what does your character want? What makes her unique and what makes her very specific? “Part of Your World” is my favorite “I Want” song… It’s from “The Little Mermaid.” And it’s because it’s so specific. You know, that brilliant conceit of her not having the names for the human things. “What’s that word again? Feet!” That’s sort of the brilliant thing. I actually wrote a first draft of the song that eventually became “How Far I’ll Go” called “More.” And it was a good song. It was perfectly fine, and she was sort of like, “All right, I’m hip to this island. I want to see what else is out there.” And then, I think the key insight that really made the song what it is is: it’s not about not liking where she is and wanting to go somewhere else. She loves where she is. She loves her parents. She loves her island. She loves her community. And there’s this voice anyway. And so, I felt like that was much more complicated and also much truer to my experience growing up, which was: I had loving supportive parents. I lived in a neighborhood I really liked. I went to a school. I had friends. And yet, there is this impossible distance between me wanting to make movies and write shows. I didn’t know anyone in show business. I didn’t know anyone in that world. Rico Gagliano: Your mom is a psychologist, is that right? Rico Gagliano: Actually, this leads nicely to my next question which is: when you were growing up, what was your “I Want” song? Something in pop music maybe that crystallized how you wanted to be? Rico Gagliano: Most of them, as I thinking. Lin-Manuel Miranda: Like most of them are like, if they’re really good, they’re “I Want” songs. Rico Gagliano: Like an entire genre of “I Want” songs. Lin-Manuel Miranda: It kind of is! But I’m trying to think in terms of my adolescence in particular. I was entering sort of pre-pubescence and pubescence at that golden era of Disney animated musicals. Like I was 10 when “Little Mermaid” came out and rocked my world. Rico Gagliano: By the same director as “Moana,” by the way. Lin-Manuel Miranda: Yes. And then it was “Beauty And The Beast,” “Aladdin,” “Lion King.” It was like four in a row of just like [makes rapid fire sound effect]. Brilliant and in totally different ways. I was exactly the right age for those. Rico Gagliano: …Is based on David Bowie, which I understand you listened to a lot of while writing that song. A lot of David Bowie songs. When you were listening to all that stuff, did you figure out what makes a David Bowie song a David Bowie song? Lin-Manuel Miranda: Well one, the idea came to me because I, along with the rest of the world, was mourning Bowie in 2016. And so I was listening to a lot of Bowie anyway. So it had kind of seeped into my bloodstream a bit. Rico Gagliano: Yeah it’s the character that sings the Bowie song is a bad guy, the giant crab who like shiny things. Lin-Manuel Miranda: Yeah, yeah, so, but to me the trick to the Bowie tribute is really sinking into the vowels. It’s [imitates Bowie’s voice], the Maui man.” You know, “Die, die, die.” You know, it’s about really just hitting the vowels so hard. And also the way he says, “Love!” You know, I did listen to a lot of “Under Pressure.” [Imitates Bowie again],”Love, love, love.” So when he’s, you know, “Love!” I just had to put that in, the way he says love. Rico Gagliano: I also wanted to ask you about songs that you don’t write, at least in a traditional way, you improvise them. You are known as a great freestyle rapper, basically improvising rap songs as you go. Which seems to me to be just an almost superhuman skill. Is that a talent you’re just born with? Is it something you can practice? What do you do to practice that? And then, I think I got courage in college. Like, I just I remember starting to freestyle as a goof with my friends and then realizing like, the more we did it, I was getting better and my friends weren’t getting any better. Rico Gagliano: But why? What were you doing? I mean, were you sitting around in your car just freestyling? Lin-Manuel Miranda: Yes. Yeah, yeah. I very distinctly remember this one road trip my college roommates and I took. We drove to Vegas and back in a week, which I don’t recommend to anyone. We had to get back because we were in a play. Rico Gagliano: From New York, I’m assuming. Lin-Manuel Miranda: This is from Connecticut. Yeah, from Connecticut to Vegas and back. And I caught the Kansas 1 a.m. to 5 a. m. driving shift. We could only make it if we drove nonstop. And no disrespect to Kansas, but at night, it’s flat and there’s nothing to keep you awake. It’s like, gas station, gas station, farm, gas station, gas station, farm. And everyone else in the car was asleep and I remember from 1-5 a.m., just popping in a tape of instrumental beats, drinking four Red Bulls, and rapping to myself. And when the sun came up that morning, I was pretty good at freestyling because I’d gone through some wormhole. Rico Gagliano: What were the other guys doing what you were freestyling? 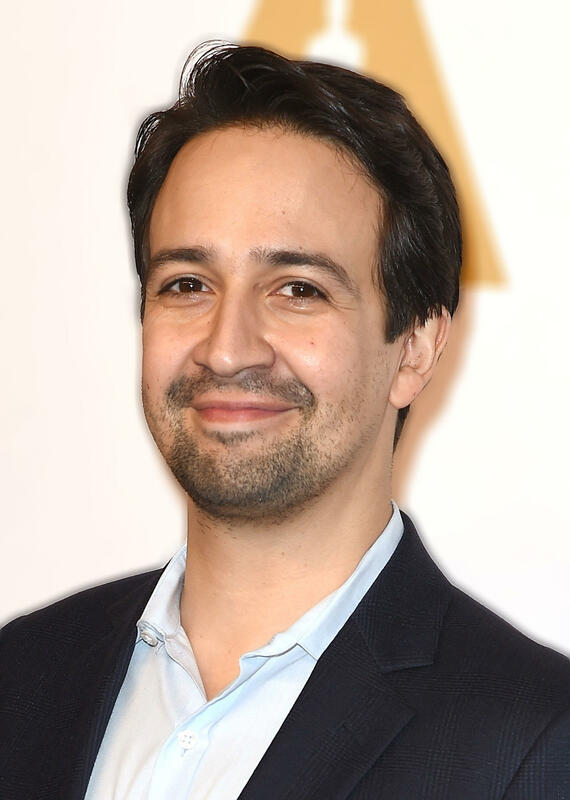 Lin-Manuel Miranda: They were knocked out asleep! Rico Gagliano: They missed it. They missed the genesis of a great, great freestyler. Lin-Manuel Miranda: They did. It happened while they were sleeping. I don’t know if it was any good, but I know I went from- I pushed through some 10,000 hours. Rico Gagliano: So that’s the secret, it’s just do it and do it and do it until you’re good. Lin-Manuel Miranda: Yeah, the secret is to do it and do it do it and also, do it with people who challenge you. I mean, the great thing I have is this improv group called, Freestyle Love Supreme and we’ve done this countless times in front of so many audiences, that like, you get a certain fearlessness because you’ve done it. Rico Gagliano: That this is safe. Lin-Manuel Miranda: That this is going to be OK. But you know, thankfully, I’ve got friends who are really good at it and so we keep each other’s knives sharp. Rico Gagliano: I hope you don’t mind, I have to ask you a few questions about “Hamilton,” if that’s all right. By its nature, a limited number of people on Earth can actually see the show. It’s a live performance. So most people that are really into it are into it through the music. What is it that you’re sad people are missing when they are unable to see the show? Lin-Manuel Miranda: Well here’s the thing: that’s how I fell in love with most Broadway shows. I’ve still never seen “Man of La Mancha” on stage. Lin-Manuel Miranda: I’ve still never seen “Camelot” on stage. But I fell in love with those. I wore those cast albums out when I was a kid and so I have a version in my head that I’m almost scared to break by seeing the show on stage. Rico Gagliano: You’re never going to see “Man of La Mancha” now. Lin-Manuel Miranda: It was on Broadway a few years ago and I didn’t go. I was just like, “No, I’ve got the version in my head that I’d like to see.” You know, there’s a magic to that. At the same time, the work of my collaborators is so incredible. I think, when you have fans who have listened to the album a million times, there’s still so much more when they actually go see it. Even though the show is sung through, you know what happens if you listen to these two discs. There is so much in store for you when you see it live. Rico Gagliano: I will admit I have not seen the show live. I have tickets to see it here in L.A. Is there something in the staging or something, some little detail that most people don’t catch that you really love that I should be looking out for? Lin-Manuel Miranda: I see something new every time I see it, is in the song called “Hurricane.” There’s a tableau that happens, as he’s singing and this isn’t a spoiler — he said to himself, hoping it’s not a spoiler. But there’s this incredible tableau that happens. The entire company shows up and this freeze happens and every moment in the freeze is a different moment of Hamilton’s life. So in one corner, you see a red coat. In one corner you see King George. Every time I see it, I see something I hadn’t seen before. And that’s like… I get to see it a lot [laughs]. Especially now that I’m not in the show. I couldn’t see anything when I was actually Hamilton, in the eye of the hurricane. But I catch something happening in the sidelines or between two of the ensemble numbers that I’ve never seen before, every time I see it. Rico Gagliano: We have two questions that we ask everyone on the show. The first one: if we were to meet you at a party, what question should we not ask you? Rico Gagliano: I’m probably going to ask you for a selfie after this interview. Lin-Manuel Miranda: Yeah I don’t mind that, I will always oblige, but yeah I mean, all right. We could be talking about something! Rico Gagliano: That surprises me actually because I would think that it would be asking about the Mike Pence situation. Rico Gagliano: Well it’s not so much his offense. I think people are somewhat interested in our President’s offense, that he took at that. Rico Gagliano: It actually as a, as we were just talking, it occurs to me that this show, in particular, it was actually debuted at the Obama White House. Now it’s become a sort of, maybe seen in a different light by a new group of politicians. It’s always been kind of steeped in politics. Was that by design? Lin-Manuel Miranda: Design? My hope was that we’d get off the arts page. You know that’s, my hope was that we’d mount a production. Everything else has been not by design, but it is interesting. You know, one of the themes of the show is you have no control of who lives, who dies, who tells your story. Hamilton was succeeded by all of his enemies becoming president. Do you know what I mean? Like it was Jefferson, Monroe, John Quincy Adams, it was Madison — not in that order — but those are all guys who’d like, did not like Hamilton. And so, you know, we were beloved by the last President we are not so beloved by this President and life goes on. That is under no one’s control.